: Latest Update: Error marking! 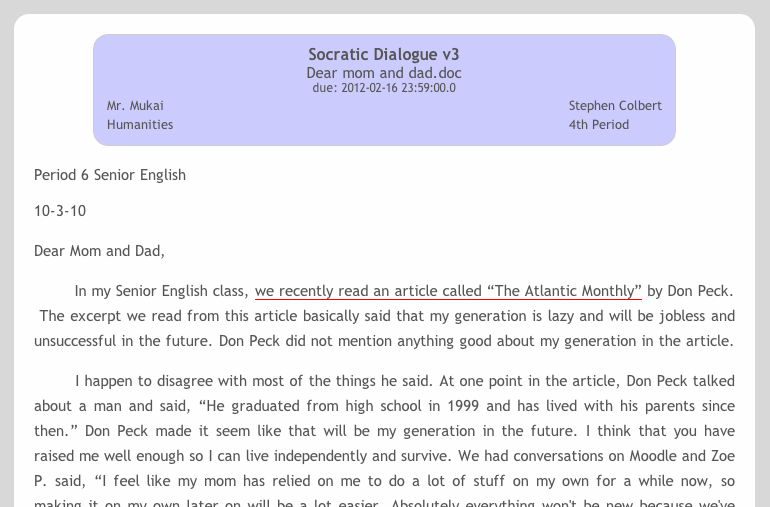 Thanks to input from our users we now support a dedicated feature for marking spelling, grammar, or other errors. But this new feature is more than just a red underline. Read on to learn more! 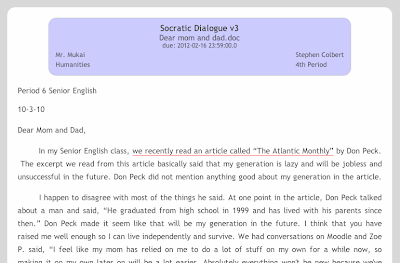 EssayTagger is built to help teachers evaluate student work within the structure of a custom rubric and provide excellent, specific feedback to students. But instructors made it clear to us that we needed direct support to be able to mark errors--the dreaded red pen markups on a paper. It makes sense; marking a grammar error is different from evaluating a weak thesis. The new feature makes it easy to mark problematic passages as having an error. Marked passages will have a red underline. You can enter an optional comment about the error. When a student receives her graded work, she'll see the red underlines sprinkled throughout her essay. But here's the coolest part: all of the marked passages will be collected into a list at the end to make it easy for the student to do a follow-up correction exercise. And just to be clear: These are errors that you determine. The grading app does not do any auto-evaluation whatsoever. EssayTagger is always driven by your brain, your expertise. We do not believe in auto-grading software!! Error marking piggy backs on our existing "free comment" system to make it super quick and easy to mark an error. Just click "mark as error" and the text will be underlined in red. That's it! Notice that the whole sentence is presented so that the underlined portion appears within its full sentence context. In most cases I recommend not entering a comment about the error. Instead hold the student responsible for reviewing her errors and thinking through them herself to figure out and learn from her own mistakes. She can seek out help if she needs it, but we shouldn't take on the responsibility of making corrections for the students when it really doesn't do them any good. I'd much rather have students submit corrections to earn back some mechanics points rather than having me write endless "subject-verb agreement" or "you're/your" comments that the students won't even read. Think of it as a chance to put those Active Learning vs Passive Learning PD workshops to use! As with all EssayTagger feature updates, this is available now to all EssayTagger users. Every time we upgrade the site, all users benefit! We will update the data reporting screens to include data about how many errors were marked in each essay along with aggregate data (e.g. average number of errors marked on the assignment) and individual vs aggregate performance outlier analysis (i.e. does a student have statistically significantly more errors than his peers? ).